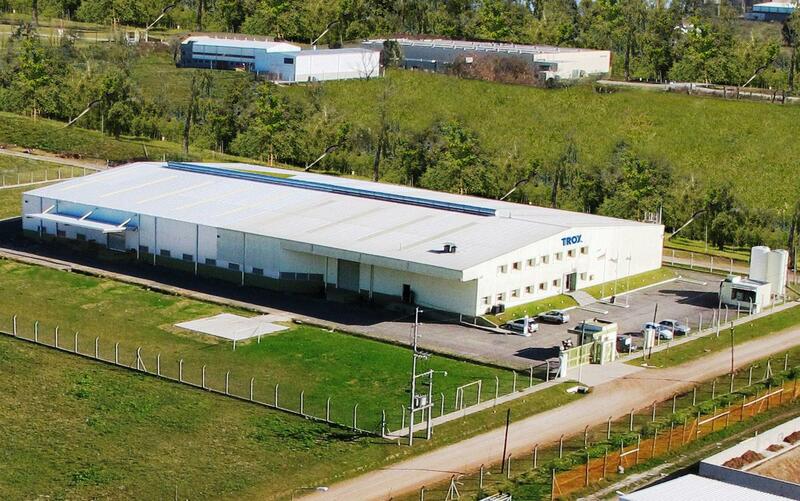 Type TFM-2/TPM | TROX Argentina S.A. 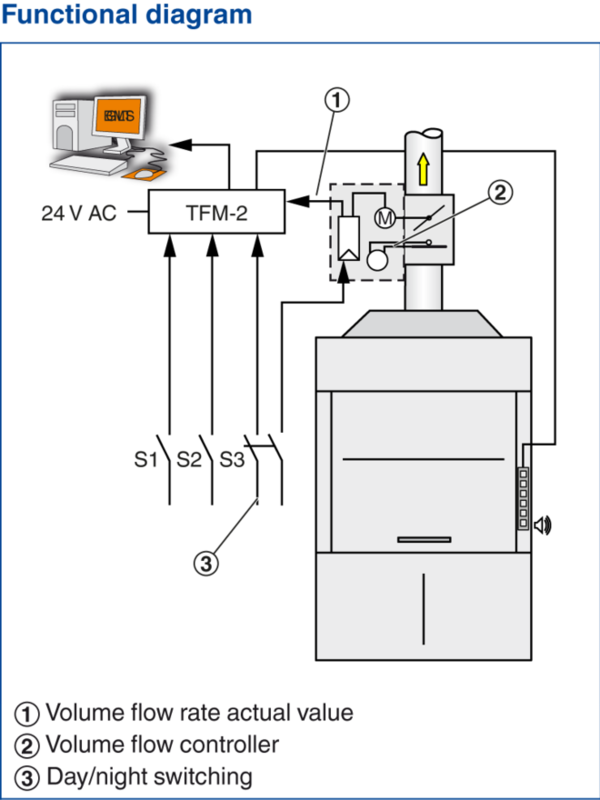 The TFM-2/TPM monitoring device enables monitoring of the aerodynamic function of fume cupboards as well as monitoring spaces where the differential pressure is being controlled. The measuring variable (volume flow rate, face velocity or pressure) is recorded by an external transducer (to be provided by others). The transducer provides a voltage signal that is proportional to the variable; the signal is then transmitted to the monitoring device and evaluated by the microprocessor system. 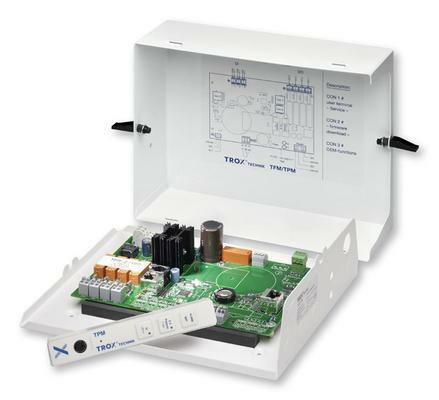 The characteristics for the transducer, the monitoring settings and any required special functions can be configured with the free-of-charge TROX MConnect software. Optical and acoustic alarms are emitted on the supplied control panel. Alarm signalling to the central BMS can be achieved by wiring the alarm relay. Failure of the supply voltage is also signalled to the control panel. Configuration settings are stored in EEPROM memory and are hence safe in case of a power failure. Monitoring devices for the monitoring of volume flow rate, room pressure, or face velocity on a fume cupboard. The quantity being monitored is received as a 0 – 10 V DC voltage signal from external transducers, e.g. face velocity transducer or volume flow measuring unit. The monitoring system includes a microprocessor in a casing, a control panel (also for display), a sticker to mark the control panel for either volume flow rate and face velocity monitoring or for room pressure monitoring.